Alison had another good day today. She had some good therapies during the day, and this evening we watched a couple episodes of Parks and Rec. And we are now officially Medicaid approved! We thought we were earlier, but now we are for sure. 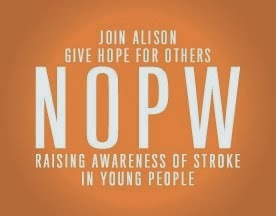 So the push to get Alison home is on! : ) I have to get our apartment all ready for her to come home - hopefully by the end of this month. But that's really excited and we are both looking forward to it. Thanks for your continued support.